Thomas C. Sowards Jr., passed away March 22, 2019 surrounded by his loving family. He was born June 16, 1940 in Hurricane, West Virginia, the son of Thomas C. and Lillith Mae (Lovejoy) Sowards Sr. Mr. Sowards was a member of the Eagles and the Masons and was a true animal lover. 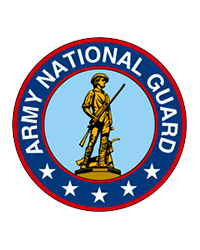 He was retired from Navistar and had served in the National Guard. Survivors include two children; Mark (Kim) Sowards, Urbana and Thomas A. Sowards, Springfield, four grandchildren, seven great grandchildren, one brother; Jerry (Nancy) Sowards, Springfield, several nieces and nephews and his beloved cat “Rocky”. He was preceded in death by his wife; Judith Sowards, a sister; Bonnie Clark, a brother; Mike Lovejoy and his parents. At Mr. Sowards’ request, there will be no services. Arrangements are being handled by the JONES-KENNEY-ZECHMAN FUNERAL HOME. Condolences may be shared at www.jkzfh.com.